As a credit union member you have access to exclusive GM Credit Union Incentives, discounts and benefits. Quirk Chevy has teamed up with several local credit unions around the Quincy and Greater Boston Area to help bring all these benefits to you. We did this so we could provide members of our community with affordable and reliable transportation. Eligible credit union members are able to purchase vehicles at a special discounted price. This price is less than MSRP. GM Credit Union Incentives can be combined with most current discounts and incentives to save even more. A current statement or membership card should be all you need to receive the GM Credit Union Incentives. Other forms of proof may be accepted at the discretion of Quirk Chevy. Most 2014 and 2015 Chevy models are eligible to receive GM Credit Union Incentives. The best part is that you can share your discount with members of your household! Do you have a vehicle that you want to trade in? How would you like to get cash or use your current vehicle as a down payment on your new Chevy? See how much your vehicle is worth by Clicking Here To Value Your Trade-in. At Quirk Chevy we work hard to get you the most for your vehicle, regardless of it’s condition. 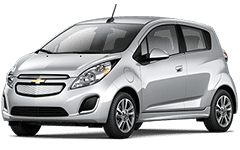 With great services like our easy to use Black Book Vehicle Appraisal tool and great deals on new vehicles, you will leave knowing you got the best deal we could make you on a new Chevrolet. Any questions? Any one of our friendly and profession sales consultants are well equipped to help you find your new vehicle. Contact Quirk Chevrolet’s sales department at 781-917-1151.